Note: In the spirit of full disclosure, this post is a sponsored post, for which I received a free product. All opinions expressed, however, are entirely my own. 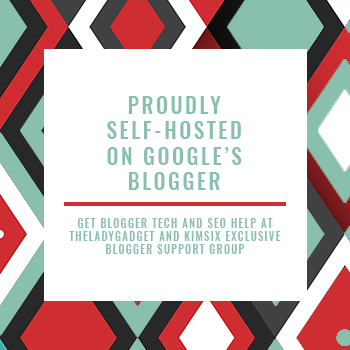 When I was approached by a representative from a company called Balls of Steel, asking if I was interested in doing a review of one of their products, my initial reaction was, "Not a good fit - I'm keeping things pretty family-friendly on my blog." Reading just a little further into the email though, I was sold. Not only was I willing - it is a privilege to help promote this product and this company! I was being asked to review the Napa Wine Chiller. After receiving this product in the mail, I decided it would a perfect gift for my husband. I checked with BOS, and they gave approval for me to publish this post after Christmas. The Napa Wine chiller is available for purchase for $29.95. Not very expensive, but more than what I would spend on a stocking stuffer. I was pleased to have one more gift for my husband to place under the tree! Even though the wine group to which I belong is working our way through a series of lectures on wine, I am far from being able to call myself a sommelier! I do know however, that many variables affect how a wine tastes. Temperature is one. Serving wine at the correct temperature can be tricky. Sometimes you don't want to wait for the time it takes to chill the bottle. It is not always convenient to return the bottle to the fridge or find an ice bucket to keep it cold. After I have poured a glass of wine, the contents of my glass usually warms up considerably, from the time I take the first sip until I finish the glass. The BOS Napa Wine Chiller solves all of these problems. The Napa Wine Chiller arrived packaged in a sturdy and attractive square cardboard box. Printed on the side of the box is the message: "Perfectly chilled wine with a cause. From room temperature to perfect in 2 minutes." Inside the box is a round silver ball, with about a 2-inch diameter. A cloth drawstring bag is provided for its storage. My husband was quite pleased to receive it! He immediately placed it in the freezer, so we would be able to use it with our next bottle of wine. The directions indicate that the ball should be placed in the freezer to activate its “arctic-core center.” The ball is to be frozen for a minimum of 90 minutes; it is recommended it be frozen for 4+ hours on first use and for best results. Once frozen, the ball is to be gently placed in a wine glass, and then wine is added to the glass. According that the information provided, the Napa wine chiller will "preserve a chilled drink, or instantly cool a room temperature beverage, and keep it at that temperature for 2 - 3 hours." While I am excited about this novel way to chill wine, I am even more approving of the conversations it is meant to spark. Indeed, as I explained to my family on Christmas morning why the company chose the name “Balls of Steel” we had an interesting conversation about men's health. A statistic from the Testicular Cancer Foundation: Testicular cancer,“the most common cancer in young men ages 15-35, is one of the most beatable cancers, when caught early.” Knowing how to self-check is critical knowledge for young men to learn. Balls of Steel has partnered with the the Testicular Cancer Foundation. Through them, a free self-check instruction shower card can be obtained. On their website, the Original BOS company states “15% of our proceeds go directly to MD Anderson for cure research. Each item is design to lower the barrier of conversation about men's health.” These “drink chillers with a a cause” not only are an effective way to chill a beverage, they provide a wonderful way to start a conversation about a topic that people are sometimes uncomfortable bringing up. Anything that reminds men to take the extra step to ensure their own good health is a good thing. We tried the Napa Wine Chiller with a room temperature bottle of Chardonnay. After gently placing the ball in the bottom of a wine glass, we poured in the wine. Within just a couple minutes it was chilled. I had been concerned that the ball would roll as my husband took a sip, and hit him in the lip! Instead, it stayed nicely at the bottom of the glass, even as it was tipped. Curious, I placed the ball in a stemless wine glass. It remained at the bottom of that glass as well, when I drank from it. My only complaint about the Napa Wine Chiller is that currently we only have one of them. Although it is not difficult to transfer the steel ball from one glass to another, it would be much nicer to have one for each our glasses! Since I gave this one as a gift to my husband, I may have to get my own! Too bad it's too late to receive an order from BOS for tonight's New Year's Eve celebration! Wishing you a fun, safe and Happy New Year's Eve! Have you asked the men in your life if they know cancer symptoms to watch for? In addition to thinking about New Year's Eve plans, many people also realize that the end-of-the-year is their last opportunity to make any charitable donations eligible to be included on the year's taxes. For those of us who work best under pressure, this deadline is a helpful reminder that it is time to fulfill our charitable goals! Sometime during the last week of the year, my husband and I usually take stock of what we have already donated throughout the year, and write some last-minute checks to the charities we support. During the last few days of December I am sure places like Good Will and The Salvation Army are busy. After receiving new things during the holiday, many people identify items that they no longer need or want, but that someone else might. Decluttering before the year ends feels good! Even if you don't have any goods or funds to give away, there are other easy ways to be generous. Charitable donations can be in the form of our time, our efforts, and even our blood. There is a certain amount of pride involved with getting one of these stickers! The gift of life is perhaps the most priceless gift of all. Anyone who has donated blood may have saved a life. According to the American Red Cross “every two seconds someone in the U.S. needs blood” and “more than 41,000 blood donations are needed every day." Fortunately, giving blood is a very easy thing to do. Squeezing a rubber ball speeds up the process! There are some qualifications necessary to be able to donate blood. You can review an explanation of this here. Prior to donating, each volunteer is asked a lot of questions and given a mini-health assessment. Don't despair if you find out you are ineligible, either temporarily or permanently. When I was in college, some foreign travel I had done made me an ineligible donor candidate at that time. However, I still helped to potentially save lives, by co-chairing and organizing a campus blood drive as one of my projects as a student nurse. It was thrilling to realize we had helped promote such a huge volunteer response. There are lots of ways a person can help with this crucial need. It is easy to find out where and when your nearest blood drive is. The American Red Cross website is a great place to start. There may not be time left to set up an appointment before the end of the year to give blood, but the need will still be there in 2015. Giving blood regularly throughout the year would be a great New Year's resolution. I have made it one of mine. I don't usually document my blood donations with a photo, but this time I asked them to take one for my blog! Do you know anyone who has benefited by receiving a blood product? I hope everyone has enjoyed Christmas, Hanakaah, Kwanzaa, or whatever else you have been celebrating. More festivities are coming up; in just a few days we will bid farewell to 2014 and welcome in a new year. If you are planning a party, I have an easy and delicious suggestion. I have been making Honey-peppered Goat Cheese with Fig Balsamic Drizzle for several years. I believe the recipe was originally published in Christmas with Southern Living - 2007. I found it on myrecipes.com. I have tweaked this recipe in multiple ways, and often even alter my own alterations, making it with whatever ingredients I have on hand! It is a very forgiving recipe, so feel free to use it just as a guide. I served this on Christmas Eve. See my post about my dishwasher for more photos! 1. Crumble goat cheese onto a serving plate. 2. Combine oil, honey and pepper; drizzle over cheese. 3. Sprinkle with 1 tsp. thyme leaves. Cover and chill up to 2 days. 4. Remove cheese from refrigerator 1 hour before serving. 5. Just before serving, drizzle a little vinegar over cheese. Garnish with orange rind and nuts or seeds, if desired. 6. Serve with crackers or bread. Note: I find this keeps quite well for a day or two, even after the vinegar has been added, especially if a white balsamic vinegar is used. I know that a lot of people don't like goat cheese, but adding honey and olive oil changes the consistency and gives it such a delicious sweetness that nearly everyone enjoys this dish! Note: In the spirit of full disclosure, this post contains an affiliate link, for which I may receive compensation if any purchases are made. All opinions expressed, however, are entirely my own. It's a Holiday - so of course my dishwasher broke! Currently, an off-set spatula and a flashlight are required to open our dishwasher door! Paper plates - - nice enough to use for company! Even though I now can get the dishwasher open, the difficulty of doing so has limited how much we are actually using it until the repair person can (hopefully) fix it on Tuesday. Under normal circumstances, I would not use paper plates on special occasions. Fortunately though, PartyPail had recently sent me a sample box of beautiful disposable holiday partyware, so I could write a review about their products. I decided they were so pretty it would be fine to use them for our Christmas Eve meal, even with company coming. I was very pleased with how well these products complemented my linens, charger plates, and other ornaments. I think they made my table and appetizer buffet quite lovely. What do you think? I traditionally use these deer candle holders at Christmas - they seemed to suit the reindeer on the plates and napkins. The silver centerpiece (which I used on my appetizer table) is just as pretty from one side as the other. It had to be assembled, but this was simply a matter of pulling each section over, removing the protective strip and pressing the adhesive to the base. A tiny section of the cardboard base remained visible, but was easily hidden by placing dishes near it. I liked that I was provided with more napkins than plates. I was able to set out napkins for appetizers and the main meal, and then provide fresh ones to everyone to use for dessert. The plates are a nice weight, the perfect size, and very sturdy. I am pretty particular about what spoon I eat high quality ice cream or soup with, so for these items I might prefer a metal spoon. For some meats, I might provide a steak knife instead of just this plastic one. But for most foods, these are almost like the real thing! I was worried the glittery silverware would be rough to eat off. It was a pleasant surprise to discover that it was very smooth. So pretty, too, that my daughter asked if we would be washing it instead of just throwing it away. With most plastic-ware, this would not even have been a thought! It was nice to not have a bunch of dishes to wash after an enjoyable dinner party. If my dishwasher had not been broken, I might not have thought to use these Party Pail products for our Christmas Eve meal. And I actually think my decor might not have been as festive! My Christmas Eve table - ready for guests! I think the “Dashing Prancer” design on these plates could be appropriate any time during December or January - not just on Christmas! * 9/9/15 Update: The PartyPail online store and affiliate program will be shutting down this month, and as instructed, I have removed any links to their website from my blog. Have you ever had a major appliance break during the holidays? An organized blogger would have written their Boxing Day post before now. Not me. I naively assumed there would be plenty of down-time on Christmas Day to get it done. Relaxing though the day was - a post never materialized. My Blog Plan by Rebecca Scarlata Keliher: Maybe this planner will help me with my blogging time-management skills! What I had planned to write about today was Boxing Day. When I was growing up, my parents referred to the day after Christmas as Boxing Day. For some reason, when I was small I assumed this involved a lot of people watching the sport of boxing. My dad wasn't a big boxing fan, but I had seen him watch a fight or two on television, so I knew what the sport was. I was familiar with sports-fever of other sorts: my parents were big Calgary Stampeder football fans, and the entire population of Calgary, Alberta (where we lived) would turn out in western wear during the Calgary Stampede week. It just made sense to me that grownups might get excited enough about the sport of boxing to name a day after it. Of course, at some point I figured out I was wrong. It was a day when servants were given boxes of gifts or tips. It began as a day when people boxed up their left-over food and took it to the poor. The day after Christmas, church coin-collection boxes were opened and the contents distributed to the poor. None of the theories involve boxing gloves! But this reminds me. I've been meaning to write a thank you note and send a tip to our newspaper carrier. Our paper has been delivered faithfully every morning before dawn for 12 years, even in weather like today. Although not visible in the photo, it has been snowing here off-and-on all morning. is filled with good cheer! 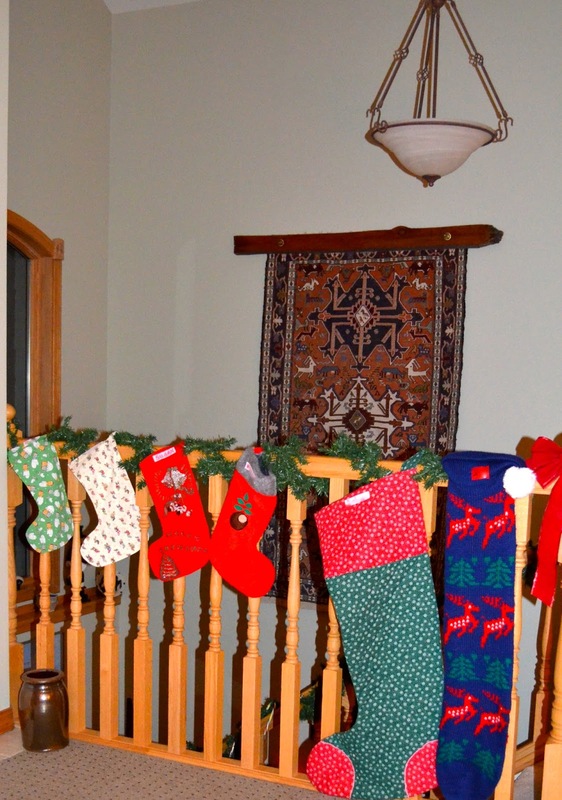 Stocking for all of us, including the pets. The super-sized ones (of course) belong to my kids! Yesterday I received a special present in the form of a blog post. Ashley of The Fifty Co-Op emailed me a few weeks ago. She said she had discovered my blog through SITS Blogging, and asked if she could feature my food photography on her blog. She created an exhibit, and posted it on her blog yesterday. I hope you will click here, and take a peek! 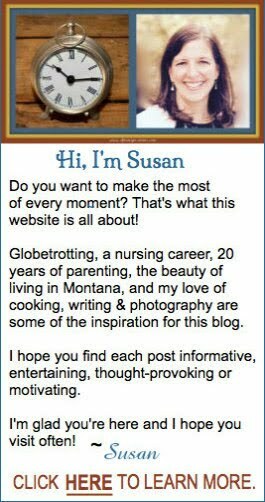 While you are there, be sure to take a look around her blog. She writes some very interesting posts. Thanks Ashely - I am honored! Many thanks to all of the readers who have visited my blog during the past ten months since I first hit "publish." Special gratitude to everyone who has subscribed to follow this blog and/or has taken the time to comment. 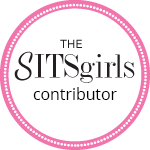 The wonderful friendships I have formed through blogging have been a very special gift. Merry Christmas, Happy Hannakah, Happy Kwanzaa, and Happy Holidays! Last December, I accepted a writing assignment that involved sharing a Christmas photo, and telling the story behind it. That content is no longer available on the Internet, so I thought I write about it again here today. In the photo I selected to write about, presents and wrapping paper are strewn across the living room floor of the house we lived in at the time. A humidifier is visible amidst it all, placed on a mat in an attempt to protect the hardwood floor beneath the carpet. I remember that it was cranked to the highest setting, and was kicking out so much mist that it was soaking everything around it. Thirty-six hours before the photo had been taken, my husband and I had rushed our 2-and-a-half year-old son to the hospital. A severe case of croup had nearly closed his airway, causing respiratory distress. X-rays and test results were as scary as his symptoms. The ER physician was gravely worried, and my son was admitted to the hospital for treatment. It was December 23rd, 1999; a very long night for all of us. Fortunately, our son improved significantly overnight, and he was discharged late afternoon on Christmas Eve. Driving home, my mind began to shift to more than just my son's health, for the first time in nearly 24 hours. I panicked when I realized that none of the presents for him or our 5-year old daughter had yet been wrapped. My husband's parents had already arrived to spend Christmas with us; our daughter had stayed home with them while we were at the hospital. They entertained her and helped watch over both kids while my husband put toys together and I threw wrapping paper on the gifts! The photo I am writing about was taken the next day, on Christmas morning. My son, still pretty wiped out, was coughing, short-of-breath, and not exhibiting even close to his normal level of energy and enthusiasm while opening his gifts. He looks pretty sedate in the photo! My father-in-law is gazing tenderly at my son. He undoubtably could relate to his grandson's discomfort better than anyone else in the room, having recently undergone chemotherapy himself. My mother-in-law's smile exemplifies her perpetual delight in her grandchildren. She kept her worried little granddaughter busy and happy, even taking her sledding during our hospital stay. My husband's posture, though barely visible at the left corner of the photo, exudes weariness. A sleepless night in the hospital had been followed by a late evening, making sure all of Santa's work was done. My daughter appears to be watching her brother open a gift. I remember her alternating between being thrilled with the presents she was receiving and concerned by her brother's illness. The humidifier had everything a little damp, but it was better than Christmas in the hospital! Thankfully, my son recovered fully, and my father-in-law is cancer-free. The only remaining evidence of the uncertainty of that holiday is this photo. A reminder of our many blessings. Have you ever heard the sound a child with croup makes when he/ she coughs? A version of this story was previously published by Yahoo Contributor Network, but it has been removed from the Internet and full rights to the story have been returned to me. The inspiration for my post today was provided by my cat. The other morning, I awoke to the rustling of a plastic bag. I got up to investigate and, sure enough, the cat was the cause of the noise. The afternoon and evening before had been filled with baking, errands, a quick dinner, and my son's school choir concert. I began to get a headache around dinner time. By the time we got home from the concert I barely managed to write the next day's post and crawl into bed. Somewhere along the way, the shopping bags with my purchases landed on our bedroom floor - and stayed there. Waking up to noises made by my cat is nothing new. For some reason, rather than just meow or come and pounce on me, the cat has figured out that if he causes an object to make noise, it will irritate me enough to get out of bed. Plastic bags are his favorite noise maker! He just has to know what is inside! The rustling noise that particular morning? The cat had found his Christmas present! Several bags were on the ground, but he had ripped open the one with his present in it - and he was investigating the package of jingling bells I had bought for him. This made me laugh - and got me thinking about all the places I have hidden Christmas presents from my family and pets over the years. I would tell you where they were - but my husband and my kids read my blog, so that would give my secrets away! We encountered a new problem with keeping gifts hidden this year. Amazon Prime (free shipping!) makes it easy to order gifts on line, with just the click of a mouse. We didn't think about needing to be able to identify who should open which package though - and none of us specified the recipient's name on our orders. Instead, the default address had them all addressed to my husband! This has gotten a little confusing; as packages have arrived, we've had to try to figure out whose was whose! So far, we have guessed well, and no surprises have been ruined. Our guesses haven't been perfect though. One day last week, I got an email from Carrie Groneman. She is the blogger whose book was one of the prizes I won in a giveaway contest a few weeks ago. She was concerned that I had not received the book, as she had not heard from me. I suddenly realized what may have happened. Sure enough, one of my family members just assumed it was something that had been ordered for me, and they hid Carrie's package! As soon as located it, I opened the package and emailed Carrie. I'm looking forward to some free time during the next week, to read her book, A Mother's Shadow . Do you have good hiding places for your gifts? Instead, I'm going to share some Nutcracker images. I learned today that "according to German folklore, nutcrackers were given as keepsakes to bring good luck to your family and protect your home." If that is the case, our home should be well protected! While decorating for Christmas this year, it occurred to me that the Nutcracker has often been an important December event for our family. This past weekend my husband and I attended a production of the Nutcracker ballet. We went to the performance because the son and daughter of good friends of ours were performing as the Snow King / Cavalier and the Sugar Plum Fairy (and the Nutcracker). We were overwhelmingly impressed by the outstanding quality of the dancing, costumes, and stage sets. I don't know how our friend's hearts just didn't burst with pride, as they watched two of their offspring dance so talentedly together. It was a magical performance. This was one of the most enjoyable Nutcracker ballets I have ever attended - I am so glad we went! My mother-in-law has given us many wonderful holiday ornaments over the years - these two unique "doctor" Nutcrackers are both from her. This soft tin soldier was given to my children by some dear family friends. He always adds a cheery touch to whatever room I place him in! My daughter attended professional Nutcracker performances twice in Cincinnati, Ohio, when she was small. The first time was with her grandmother and her best friend. Her grandmother gave her a beautiful rotating musical Ballerina and a tall Nutcracker as a wonderful reminder of this special afternoon performance. I have misfiled the photo from that day (and just don't have time to look for it now!) - but here is one taken just after one of my daughter's own performances, with her grandparents. A few years later, she went to see this ballet again, this time on a very special “father-daughter date.” Of course, there had to be some twirls and lifts before they set out. Her brother and I stayed home and had fun making Christmas cookies. Daddy purchased these two fine fellows after the ballet; one for each of our children to have. We are a family of book-lovers - so of course we have a hardcover copy of The Nutcracker story. As I have just shown, we are pretty well supplied with Nutcracker items. Recently, though, I discovered the work of the artist Patience Brewster. She has created some delightful Christmas decorations, including several from the Nutcracker. Her very whimsical Mouse King Ornament (2013) is awfully cute! Of all my Nutcracker Ballet items, my favorite is this photo - of our little "Clara" - on the night her daddy took her to see the Nutcracker. It wouldn't feel like Christmas in my house, without a Nutcracker item or two.